"And after I lease you this wonderful low mileage sedan I'm gonna get on the horn to my boss and see if I can lease you this wonderful low mileage sedan." But then the stigma set in. What began as an ingenious time-saving invention quickly became the adult version of a snap-bracket. Soon, only those people with certain mobile-heavy occupations (e.g. 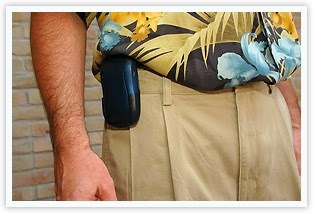 needing to constantly talk on your phone while driving a cab) could pull off the now gauche flip-phone hip carry. I'm sure the manufactures of those phone clips blame their demise on the flip-phone's extinction. And they're partially right. You just don't get that same "I'm pulling a gun on you sucka" feeling without being able to flip that baby open post-draw. It also didn't help that the iPhone was designed to fit inside your pocket and not as an expensive electronic belt buckle. In the end, however, my middle school self could tell you that their is simply no way to rebound from being deemed uncool. Once your product is a tool of the trade industry, it is immediately the most unhip thing you can wear on your hip. Ironically, you probably could move a truckload of those clips nowadays in Williamsburg, Brooklyn. For hipsters, every day is opposite day. But I digress. 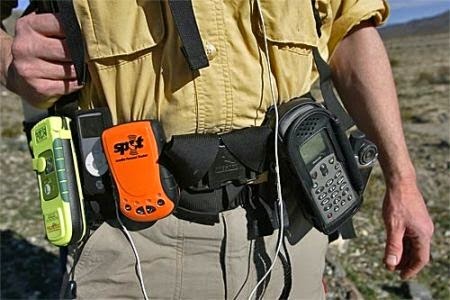 Because I'm talking about utility belts here, not some one-off phone holder. Modern day uBelts™(yah, I just coined uBelts™) would need a sleek design with numerous compartments, hidden and un, to conceal our increasingly valuable pocket debris. Phone, wallet, pills, eye drops, mace, sunglasses, throwing stars, flashlight, Luna bar, breath mints, lighter holder, extendable grappling hook with steel cable rope. There are so many options. And everybody likes options. Each belt customized to the wearer's particular needs and wants. The opposite of a sleek design. So then all we'd have to do is make them cool. Because you don't wan't to invest in a utility belt and end up with a fanny pack. Thankfully, fashion is incredibly subjective. And if we can make modern women once again believe that those hideous high-waisted shorts are flattering, we can surely brainwash a less picky public that utility belts are the new Uggs, "I mean, they're just sooooo comfortable I don't care if it looks like I'm wearing an Ewok's leg as an accessory." The utility belt will prove sooooo indispensable, people won't care that it kinda makes you look like you have a belly. Hell, they'll manufacture ones designed specificity to hide people's "problem areas." 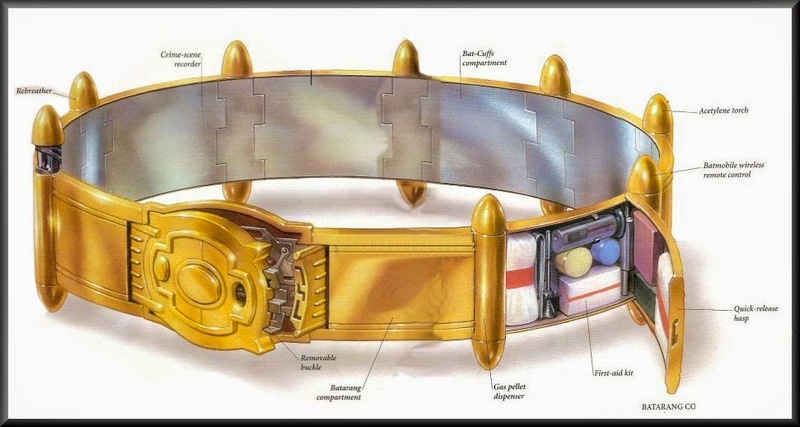 If you have an insecurity, may it be safety or cellulite related, they'll design a utility belt solution. Girdle belts, blowdart belts, smokescreen belts, megaphones belts. And the best part is -- those are all ONE BELT! It has got utility right there in its name! How can this not be the next big thing? Buckle up. You are going places.